It’s time to embrace Mother Nature in all her glory and meet our badass green babe, Tina Tape Yarn made from happy tree fibres. 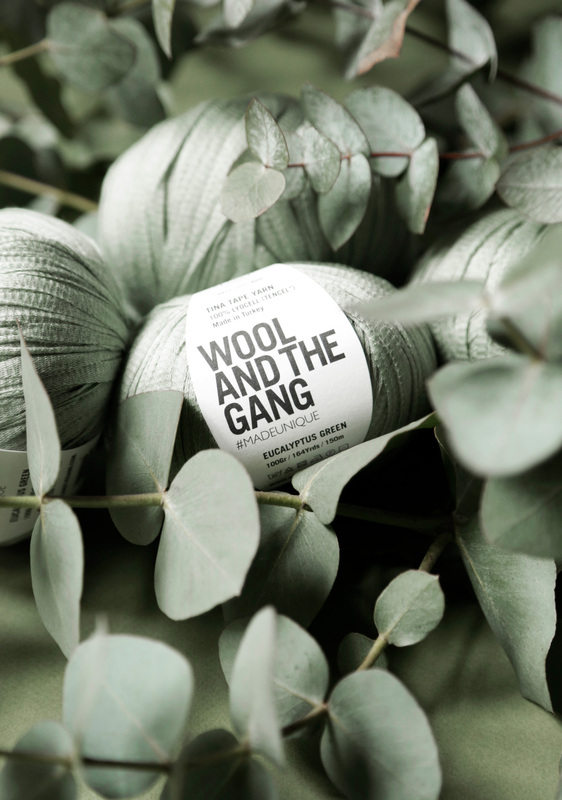 We’re always on the hunt for yarns with a bit of soul and this time ‘round, we worked with suppliers known for their sustainable technology to create something really special – and what we ended up with is better than our wildest yarn dreams! Our newest gal is made from Tencel® (AKA happy tree fibres). Wood from sustainably harvested eucalyptus trees is squished into pulp, before being pressed and spun into yarn. What’s great about this process is that the raw wood materials are cultivated from forest land that isn’t suitable for agriculture. Eucalyptus grows where no other tree can, which cuts down on unnecessary land use! When the whole process is said and done, something beautiful remains! Tina Tape Yarn is more absorbent than cotton, softer than silk and cooler than linen – GO TINA! Why is Tencel® THE REAL DEAL? If you haven’t heard of Tencel® ‘till now, we promise you’ll be hearing about this miracle fibre more and more – it really is the fabric of the future. So what makes it so great? WELL the main reason is why Tencel® is one of the most environmentally-friendly fibres around is its production process. 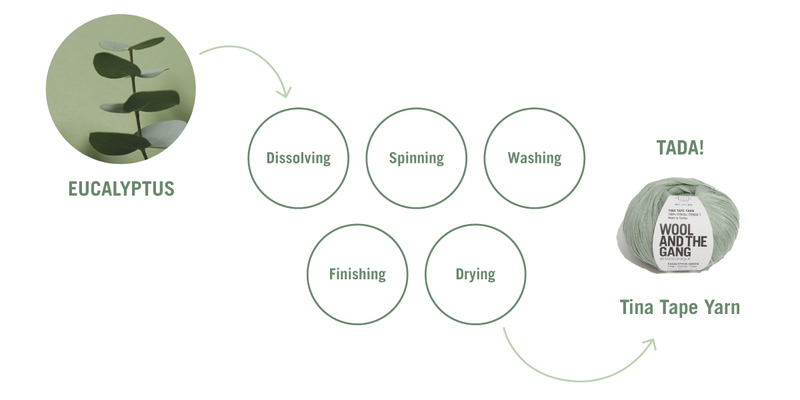 Tencel® uses a closed-loop system, which means the entire process uses recycled and reused materials. In Tina Tape’s case, once the raw wood is squished into pulp, the water and solvent added to the mix are both recycled. In the end, the whole process avoids harmful chemicals, and uses minimal land and water – simply the best! Made with 100% renewable energy. Tencel uses 80% less water than cotton. You get it, you get it – Tina Tape Yarn is doin’ her part to help our pal Planet Earth. But what can you actually make with our lightweight tape yarn? You’ve got allllll the options – from knit kits to crochet projects, you’ll get your fix of either with the Tina Tape collection! A whole lotta love went into our 12 new kits, from the easy tank tops to wear in the summer, to light cardigans to throw on when you feel a chill. 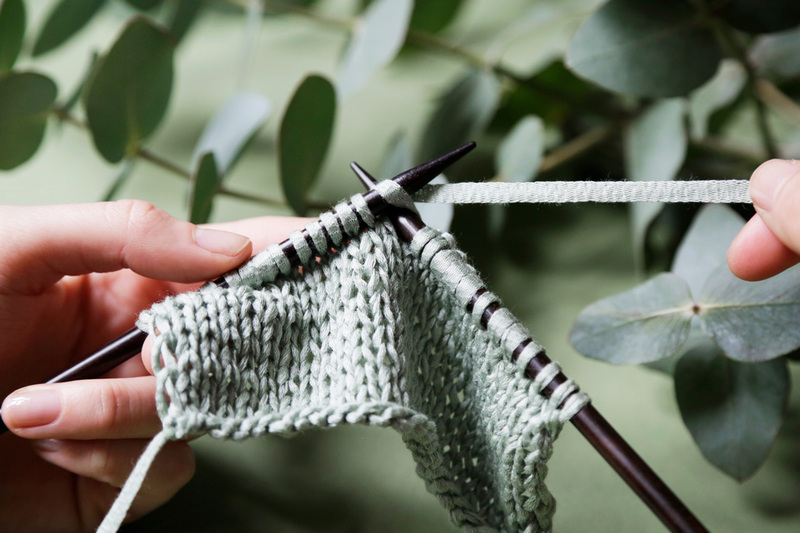 Once you choose your favourite kit, why don’t you get in on our Make Along? It starts on May 28th and you can get more info about it over here.